The Kee Club Hong Kong, Core New York, Black’s London, Club 33... All exclusive membership clubs with common themes: Exorbitant fees, dress codes, the ability to pay your way through the door, and probable hazing. 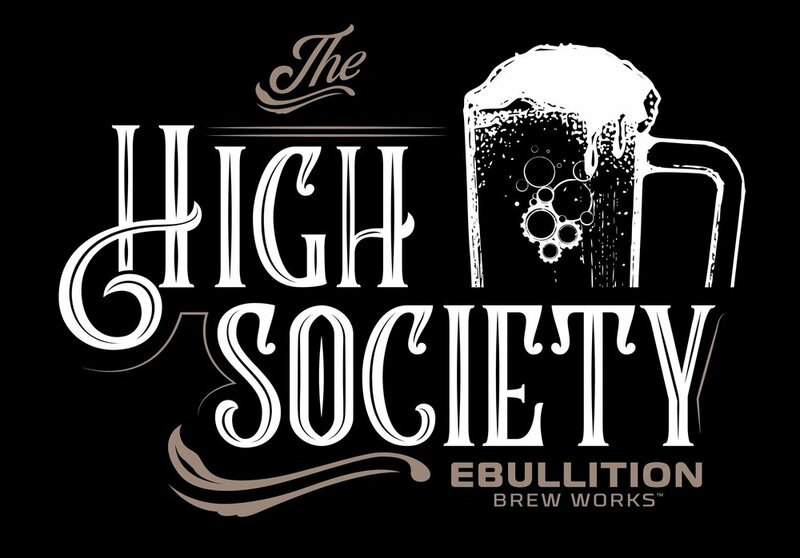 Here at Ebullition Brew Works, our members club is exclusive to an extreme. You can’t bribe a bouncer to let you in. You can’t automatically be included because mommy and daddy were life long members. If we did, how would we be able to offer such advantages as special beer releases aged in a rum barrel discovered at the site of a pirate shipwreck on the beaches of Atlantis? Or the limited edition apparel spun from the hair of mermaids? Or the hand blown glass mugs fused with the dust of unicorn horns? For just a small annual fee, you too can be part of this elite group of gifted individuals that we call The High Society. $99 gets you in. Dedication reaps rewards. 21oz Mug, personalized with your name on it. 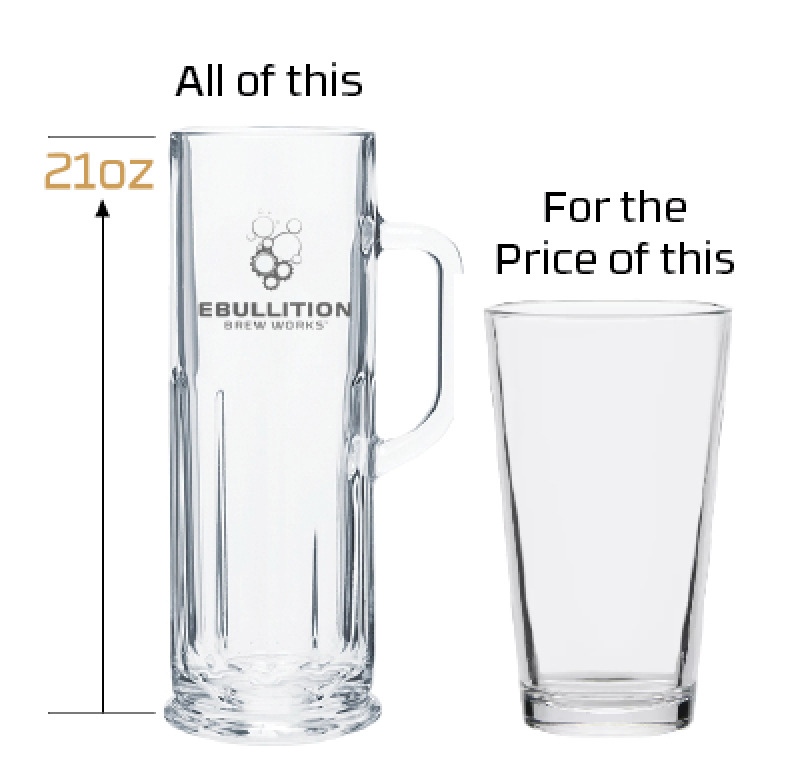 21oz pours in your personalized mug for the same price as a 16oz pour! First access to exclusive limited bottle releases! 10% discount off of Ebullition merchandise. Monthly newsletter with all the insider info on what we’re up to including events and other beer geek info! Invitation to the annual VIP “High Society” members party including a plus 1!!!! For every mug you fill, you rack up valuable points that earn you gifts. Rewards are set in three tiers at the beginning of the year and reset with fresh offers annually. Every drop gets you closer to the spoils you so deserve for you hard work and dedication to the pour. Club Membership and benefits are not transferable. Discounts may only be applied to member's check (regardless of party size). High Society discounts cannot be used in conjunction with other discounts. High Society memberships and rewards run from January 1st-December 31st. Memberships purchased on or after January 1st still hold the December 31st expiration.